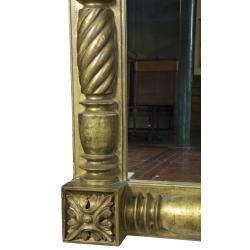 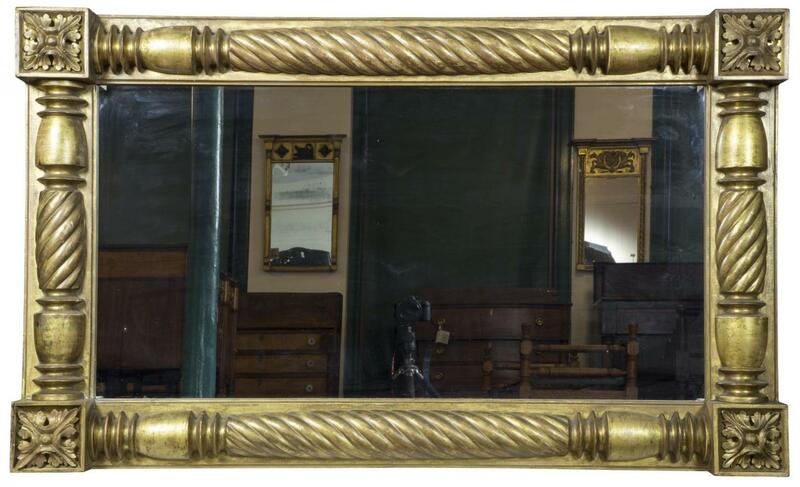 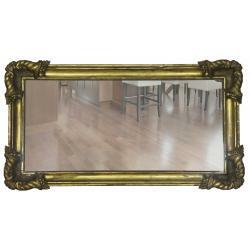 This mirror is fully constructed of wood and retains its original gold leaf surface. 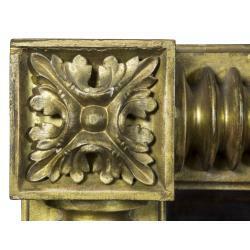 It is extremely massive and architectural; the corner blocks are deeply carved and three-dimensional in depth (5 inches deep). 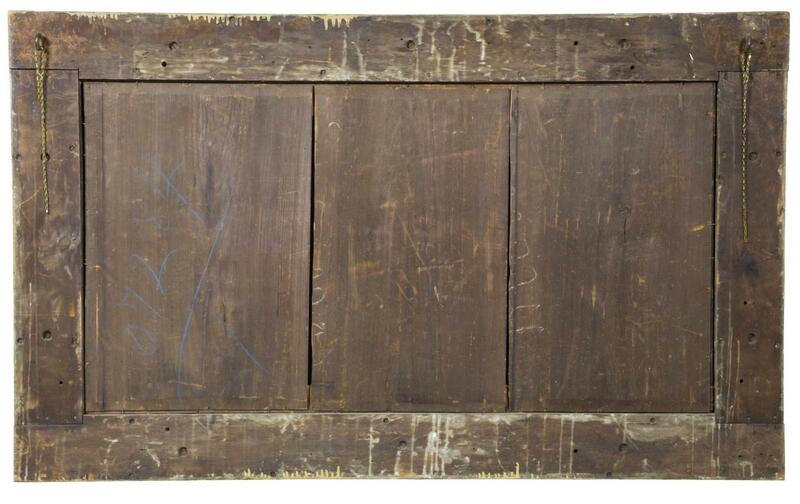 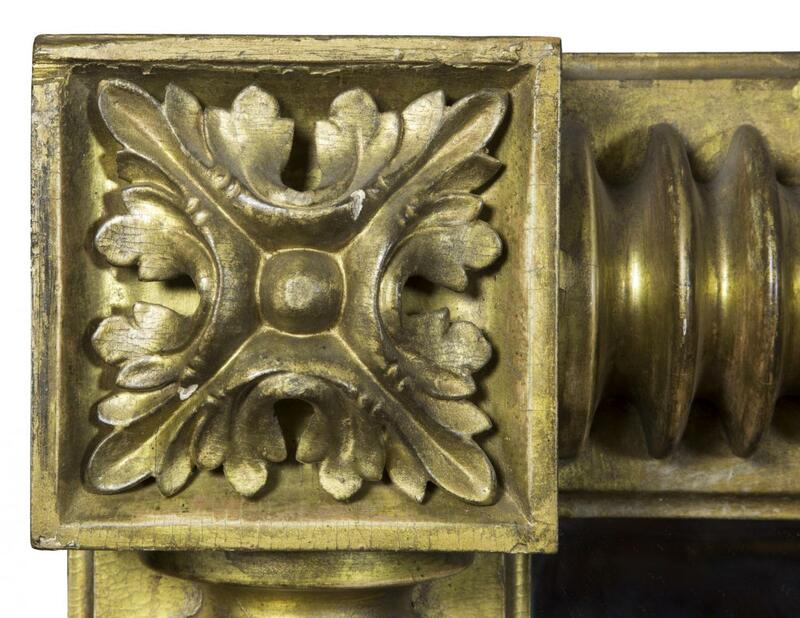 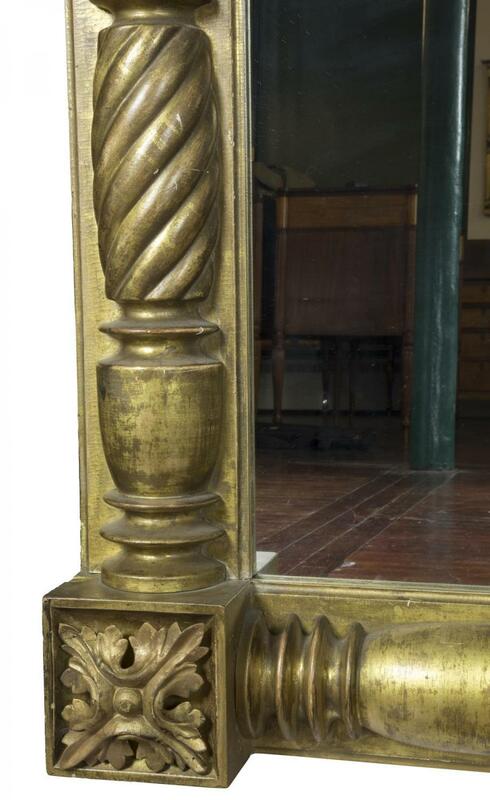 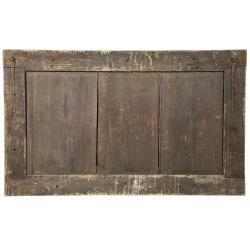 Over mantel mirrors in any period are relatively scarce and this is an exuberant example.